Height 87 cm, width 56.5 cm, depth 57 cm. Seat height 47.5 cm, seat area 45 x 38,5 cm. Folding dimensions 120 x 56.5 x 19.5 cm. Weight 5.1 kg. 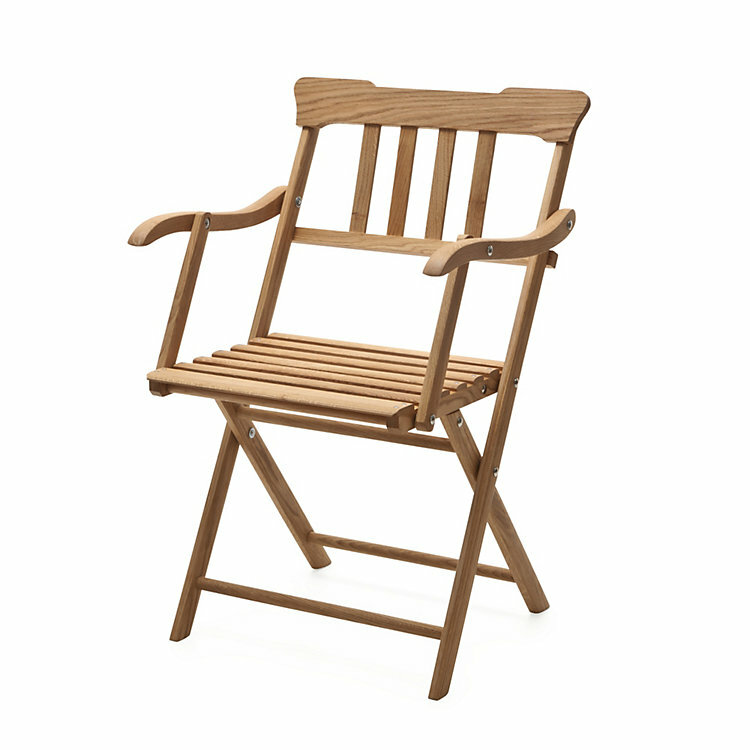 These garden armchairs are constructed and careful assembled like our white painted version. They are made of oiled oak with electrogalvanized steel fittings to equip them for longer stays outside, although color and surface appearance will change in the elements over time. This process can be slowed down by bringing the furniture indoors in bad weather.